Aw, that is so sweet! 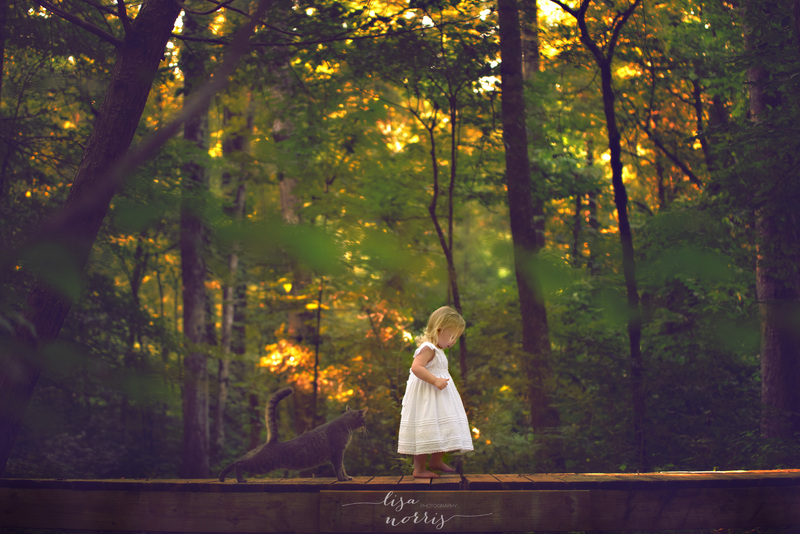 I love smoky grey cats and little girls in white dresses…and add in some fantastic light? Lovely choice! Great photograph for this week’s theme! I love how the out of focus leaves just above the subjects make the shot a bit dreamy! This is absolutely adorable! And surprising…I was definitely expecting a puppy when I clicked. Haha…Sydney, that made me laugh! I never even thought about there being a “twist” to the picture! Thanks for your comment! I absolutely love this! The light is beautiful and the subjects are adorable. Love the immensity of the trees showcasing the beautiful little girl with “her” cat. Beautiful light too!